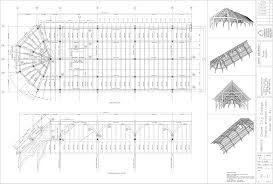 Building Information Modeling (BIM) is 3D based modeling of architectural, structural, mechanical, and electrical components all collaborated together and used as a tool to more efficiently plan, design, and construct buildings. Many general and construction managers are requiring BIM on projects. Many manufacturers of equipment have extensive catalogs of their equipment for 3D use. For construction companies, virtual construction offers a fast way to gather necessary information from all trades (architectural, structural, mechanical, electrical, and fire protection) and get the project underway. During preconstruction, modelers can model equipment and components to coordinate before construction even starts. Coordination begins in preconstruction when things can be changed and modified less-expensively. Installing equipment and components one time leads to less construction time, shorter durations, and less conflicts. Jobs are planned virtually and ceiling space is coordinated for faster install and less rework. How does BIM Make the Job Flow Better? Each contractor places equipment in 3D vs conventional 2D drawings using lines to represent work. During preconstruction, trades will coordinate space as the project flows along and meet to coordinate and work together. Many spaces are coordinated virtually way before construction starts and before the building is built which saves time and money. How Does Walton & Company Use BIM? What once was 2D lines on drawings has turned into 3D objects with intelligence. That piece of duct or piece of pipe now has size, length, width, etc. Walton & Company uses that latest Autodesk Fabrication CADmep drawing software paired with a subscription to TSI Building Design content manager to draw 3D duct and piping systems. Using this software, Walton & Company is able to draw ductwork that is automatically downloaded and fabricated in our shop. Downloads include material, size, gauge, length, seam/joint information, and part number. Walton & Company can also spool piping systems for prefabrication. With prefabrication, Walton & Company reduces mistakes, increases productivity, and controls costs while constructing spool pieces at our shop. Walton & Company uses Autodesk Navisworks Manage to assemble all trades drawings. Within Navisworks Manage, clash detection can be performed and corrected. For additional information on this topic or to find out how Walton & Company can collaborate with you on your next project, contact us today or visit our website. An architecture, engineer or constructor is said to be successful when he or she can physically construct the design which is on paper. BIM is that god for these professionals which can help to get their dream successful. As this software can help to make them understand various challenges and errors at different stages. We understand that you are providing Building Information Modeling Software Solutions and services to various small, mid-size and large businesses. I am writing this email to check if you would be interested in acquiring our recently Building Information Modeling Software Users list and other related Software Users database. Wrench And many more BIM users from across the world. What the list includes: First Name, Last Name, Title, Email, Company, Address with Country, State/Province, City, Zip Code, Contact Number, Fax, Employee size, Sales, SIC Code/Industry, Web Address etc.